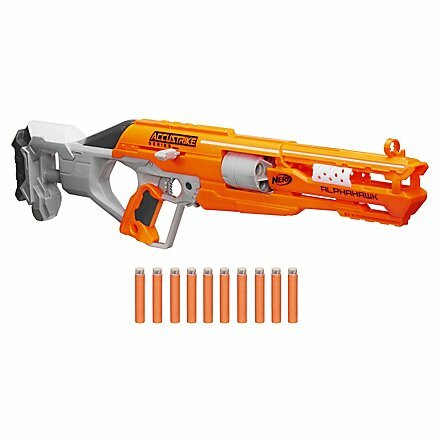 A futuristic blaster with a sniper look that shoots very precisely thanks to the special darts. On to new levels of precision with AccuStrike! 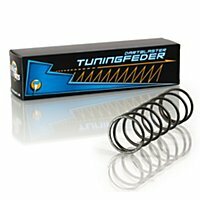 The darts of the AccuStrike series fly extremely precisely thanks to the specially developed dart heads. The notorious "fishtailing" of Elite Darts which makes targeted hits almost impossible, does not occur here. But the AccuStrike series also surprises with the new blasters, that also look great! 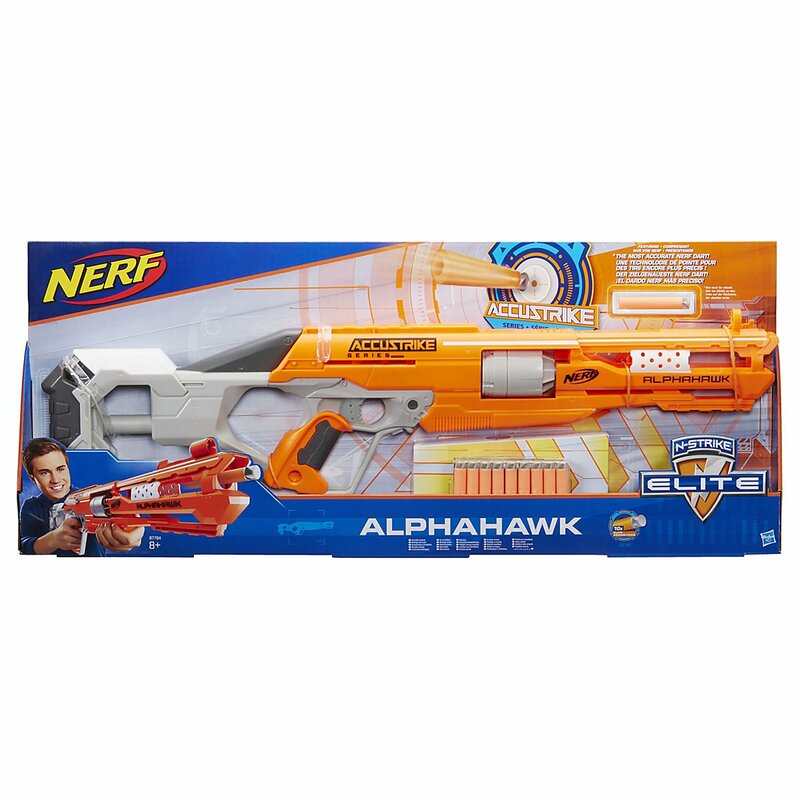 The Nerf AccuStrike AlphaHawk cleverly combines the characteristics of different blasters, but the new AccuStrike design makes it innovative and fresh. 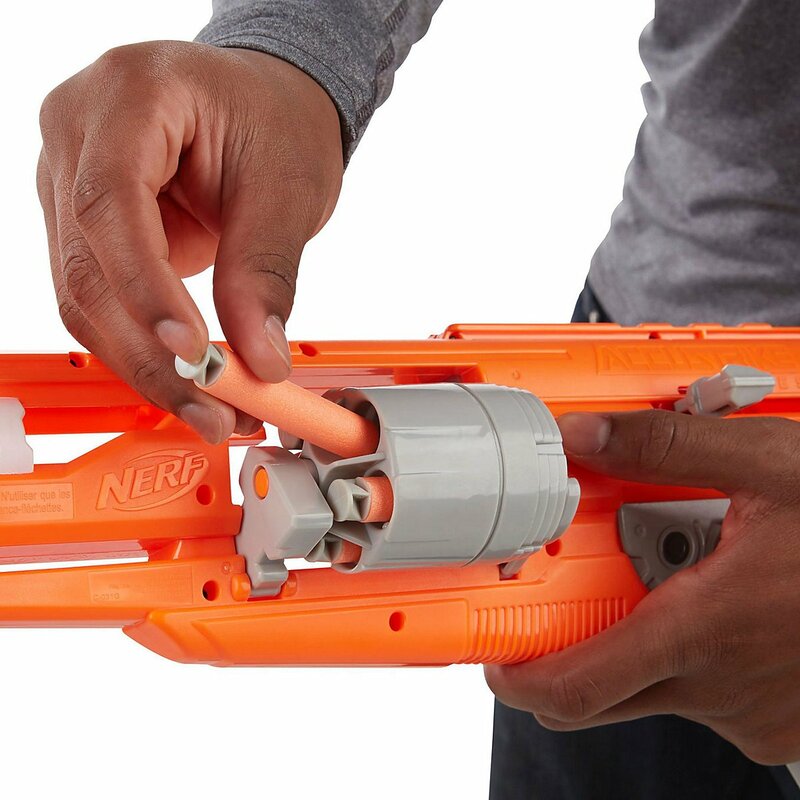 The flip-out drum with a capacity of five darts is reminiscent of the Spectre, while the priming mechanism reminds of a Longstrike or Longshot due to the side loading bolt. 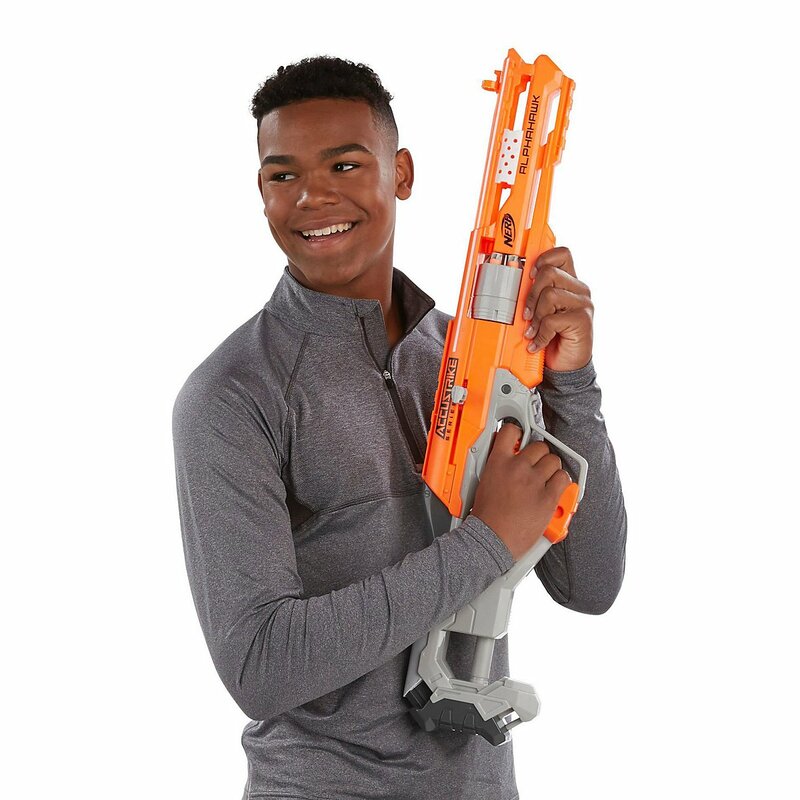 The Bolt Action mechanism and the long, open barrel and the large shoulder-rest give the impression of a chic futuristic sniper-blaster. 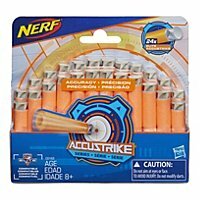 Thanks to the 10 AccuStrike darts, the Blaster is as precise as it looks. 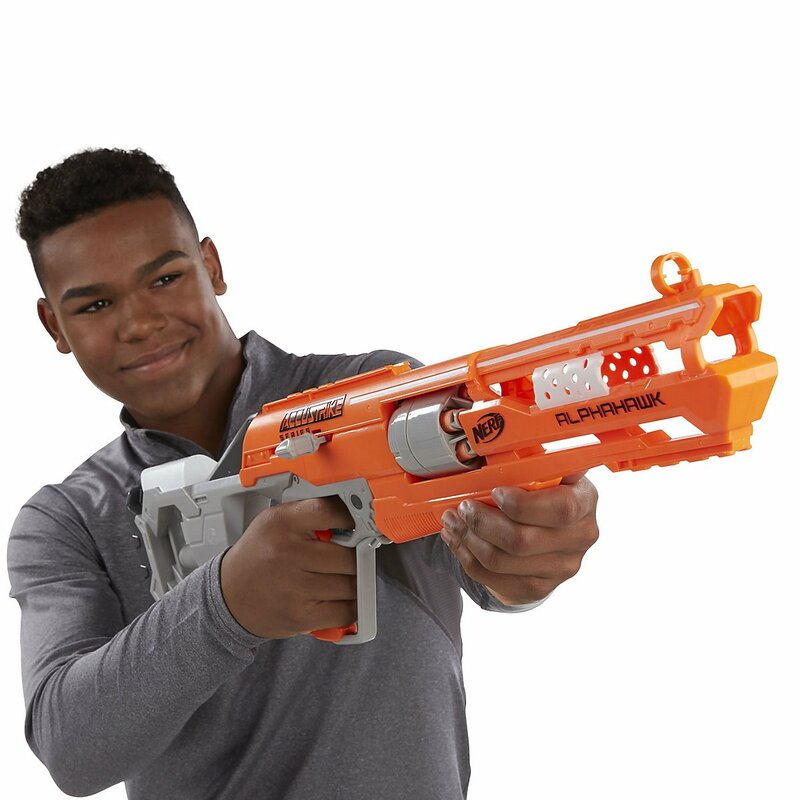 The blaster is equipped with a ring-shaped ironsight and two accessory rails, so that the blaster can be equipped with both scope and a bipod. All those who like futuristic sniper blasters should remember the AlphaHawk!